ATTENTION ALL SERIOUS RACE TEAMS! "You know how fast a little fiber can make you go." 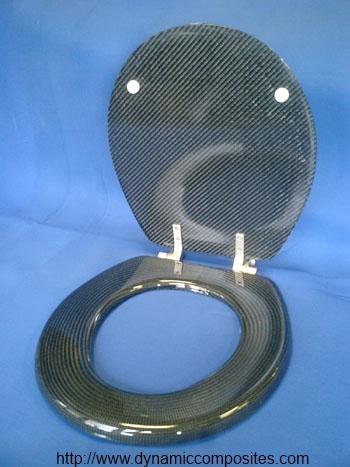 Finally, a high performance, race ready composite toilet seat. Hand layered Carbon around a premoulded foam core - the same procedures used on our bicycle wheels and racing components. 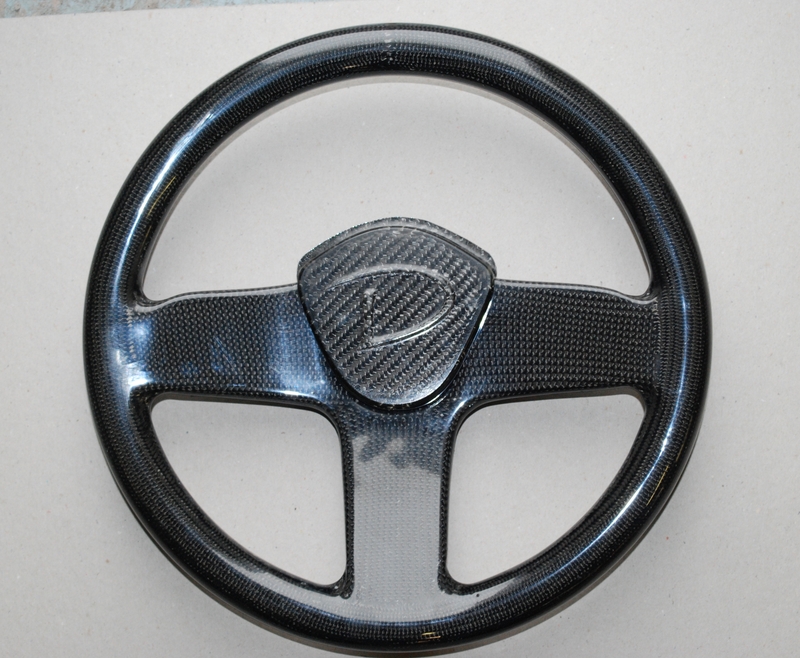 We use only the finest epoxy resin system and 550,000 psi tensile Carbon Fiber. The Carbon Fiber is custom woven for Dynamic Composites Inc. in a 2x2 twill pattern. This is absolutely the nicest looking weave, as seen in Indy cars and Fighter planes. 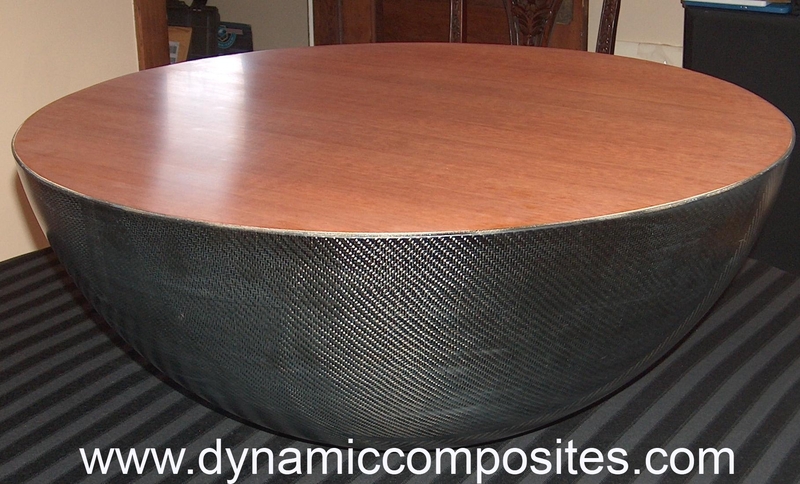 Hemispheric Carbon Fiber table with wood top.